Learning of the untold history of Africa and the cultural differences from America. In African-American history class, chapter one is about slavery,” said Dahlia Valles, a pre-med student at Tallahassee Community College. Valles and several other students had just returned from the spring break of a lifetime — a global immersion trip to Ghana organized by Forster Agama, a professor in TCC’s English Department. “We learn about African history from the point where slavery started. (Africans) emphasize that there is a long history before that,” said Carson Gaines, a TCC public relations student. A first for the college’s study abroad program, TCC students joined a larger contingent of students and faculty members from Florida Agricultural and Mechanical University for a nine-day trip with stops in Dubai (United Arab Emirates) and in Ghana. Dr. Yussif Mijirah Dokurugu has been leading the trips for FAMU for 10 years. “At TCC, we go to China, we go to Europe, England and Taiwan, but we’ve never had trips to the continent of Africa. The way things are going now in the world, it’s about time we explore the continent, starting with Ghana,” Agama said. He added that because the official language in Ghana is English, students would be able to mingle with locals. 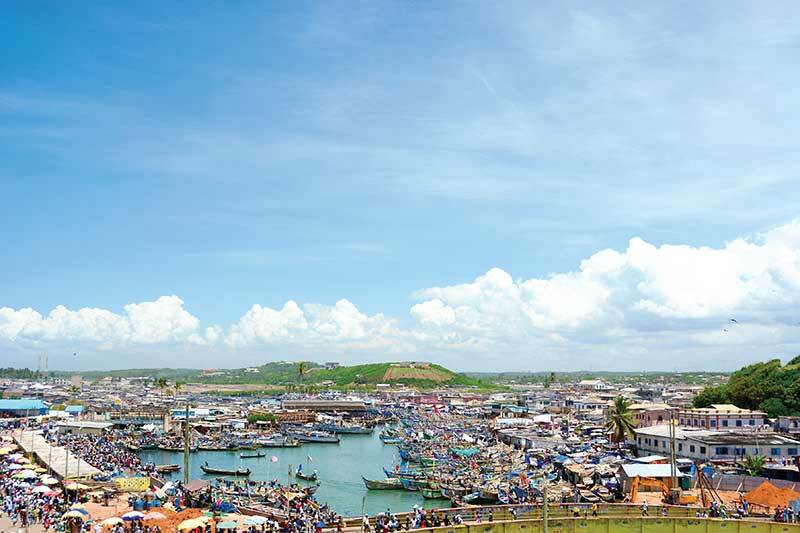 The itinerary included a brief stop in Dubai, then arrival in Accra, Ghana’s capital, as well as the cities of Ho and Kumasi to meet with student groups and Cape Coast where slave castles are located. Working with a travel agency based in Orlando, Agama and Dokorugu planned cultural immersion experiences in marketplaces as well as visits and meals with kings, queens and community elders in Ghana. A week before the trip, students said that they were most excited about going on a safari at Mole National Park, Ghana’s largest wildlife refuge, and about comparing life in Ghana to life in America. As students met post-trip to talk about their experiences, they told anecdotes about the cultural differences they noticed — as simple as reversing “thank you” and “you’re welcome” and as complicated as charity. “(In America), if you don’t have enough money to buy food and you go inside Walmart trying to get food, you (can’t) get it. However, in Africa it is different. If you tell them how much you have they will try their best to make a deal. Which is really helpful because if you really don’t have (the money) you know that they will possibly give it to you, because they are so kind,” said Kene Gamble, an accounting major. Some students praised Ghanaians’ welcoming and open nature, in particular, government officials. For instance, the minister of the Volta region in Ghana welcomed the group to his home, described as a “compound” or “palace” by some of the students. Beatrice Shapiro, who has studied social work at TCC, got a behind-the-scenes tour of one of the markets. Despite Ghanaian openness, TCC students sometimes wondered what the people they met really thought of them. “I heard people say when we would walk through, ‘those are Americans.’ I don’t know if that’s good or bad,” said Valles. “(People in Ghana) think it’s crazy what we have time to focus on while they are developing. They mentioned that they’re just trying to get infrastructure up. One gentleman said that they don’t even have time to worry about particular human rights. They see that as a luxury for us,” Gaines said. “We saw where they (the slaves) stayed. We live in Florida, in the South, and it was hard to see. They (the Ghanaian tour guides) would tell us to get in the slave cells and close the door for 30 seconds to show how bad it was. After the first time of that, I just stayed back and watched.